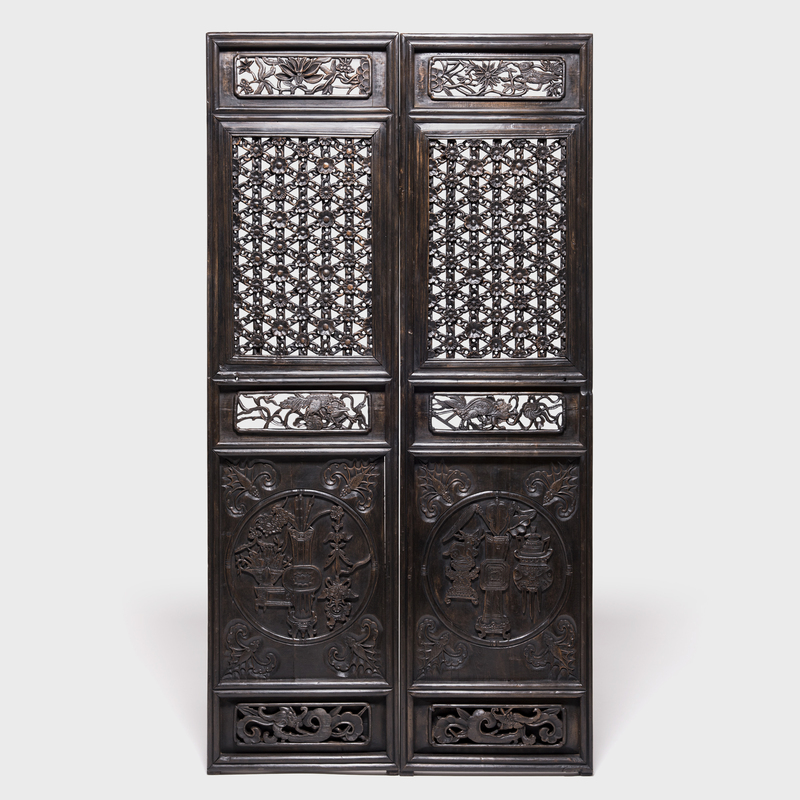 W: 21.25" D: 2.25" H: 80.0"
This pair of elaborately carved early 19th century Chinese courtyard panels feature intricately carved lattice comprised of chain links connected with floral blossoms. 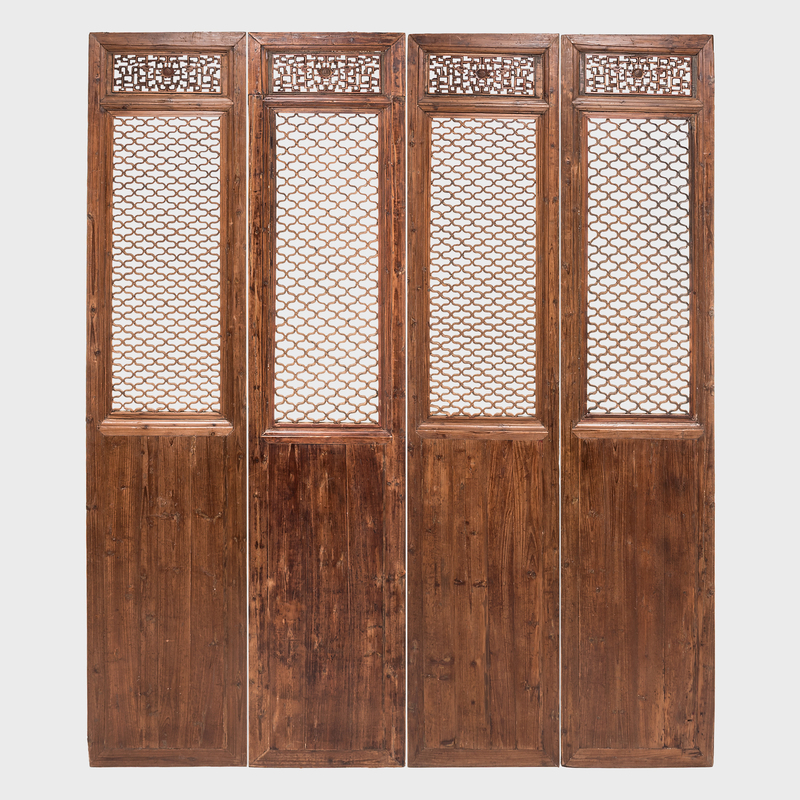 This complicated lattice pattern was brilliantly created by interlocking carved pieces. 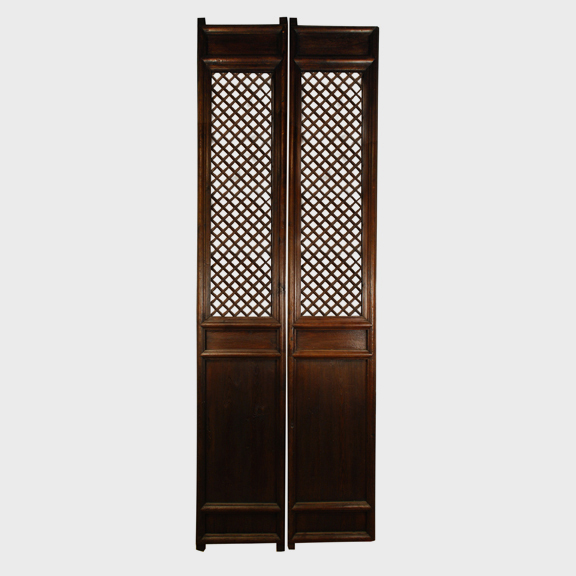 There are multiple dimensions to the lattice. 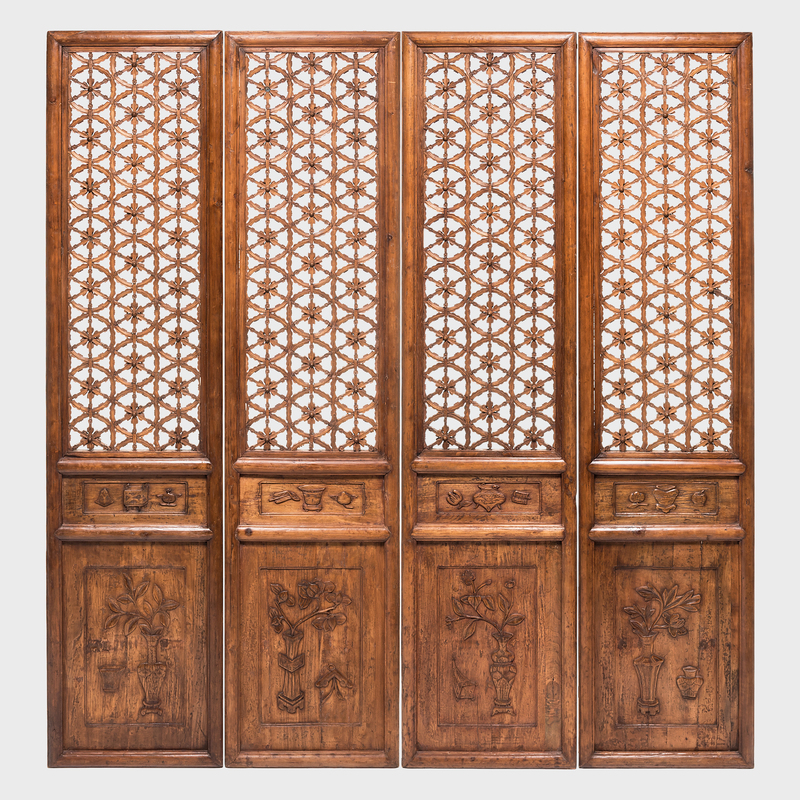 The bottom panels are carved with potted plants and vases with flowers and surrounded by four flying bats. The word "bat" in Mandarin sounds very similar to the word for good fortune, which is what bats have come to represent in Chinese culture. 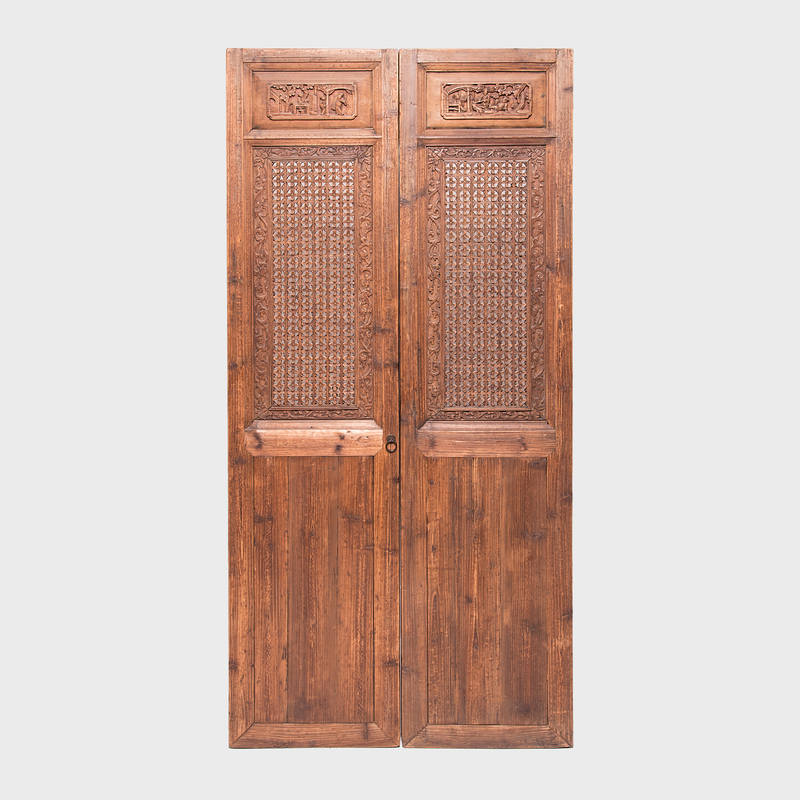 This pair of lattice panels is one of the most extraordinary we've seen in our 20 years of collecting.